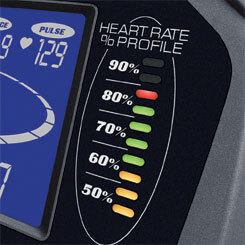 In the Fitness Industry, upright bikes have become a very useful part of person’s home fitness center. FitnessZone® will be able to custom fit you on an upright bike that will help you obtain your fitness goals while meeting your budget or space requirements. 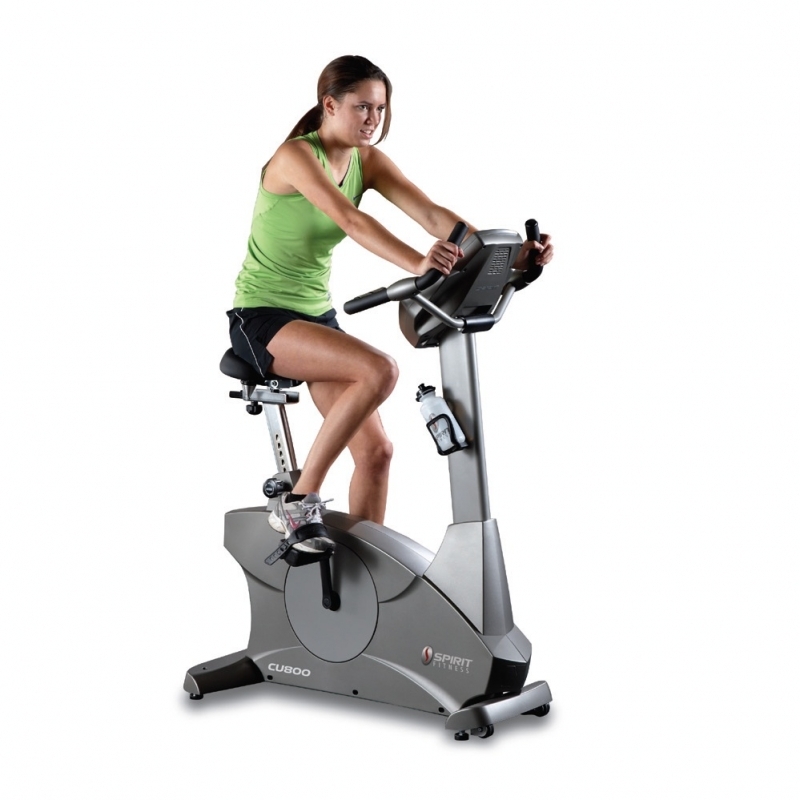 We carry such brands as: Endurance upright bikes, Life Fitness upright bikes, FreeMotion upright bikes, Kettler upright bikes, StairMaster, Monark upright bikes, Spirit upright bikes, Stamina upright bikes and many more. We also offer a full line of commercial upright bikes. We have service technicians on call 7 days a week throughout the World for our customer’s service needs. 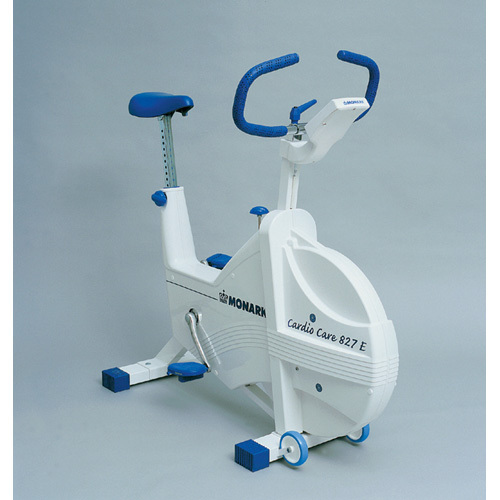 Order your upright bike today at FitnessZone®. Com and pedal yourself to better Health! You'll love working out! And, with iFit® Technology, it's never been easier to lose weight. Workouts Powered by Google Maps™, training with Jillian Michaels, competitions with family and friends and online fitness tracking will help you reach your goals fast. Plus, a Step Thru™ Design allows you to get on and off the bike with ease. We carry a great variety of exercise bikes to fit any budget. If you need expert advice on selecting the right recumbent bike, please call FitnessZone at 1-800-875-9145 to chat with one of our fitness advisors. We will beat any price around! 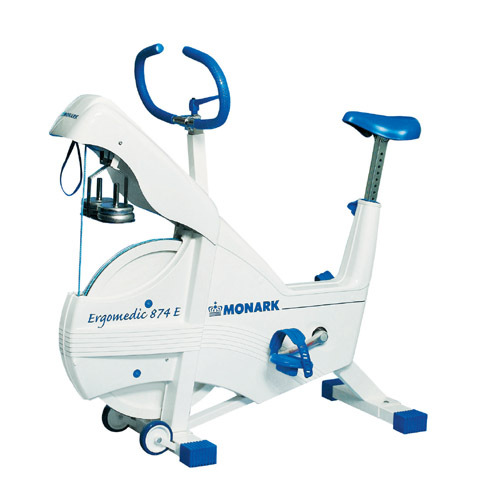 Monark Sports & Medical bikes are designed and built in Sweden by Monark Exercise AB with focus on testing and training in Medicine, Sports, Health-care and Rehabilitation. 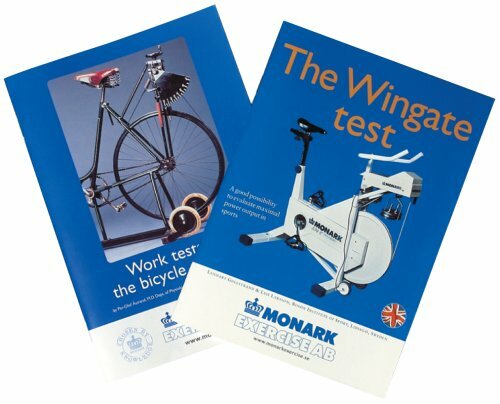 Monark has over 100 years of experience in bicycle production. A tradition that has yielded know-how, experience, and a real feel for the product and quality. Since the early 1900s, Monark’s cycles have been living proof of precision, reliability, strength and service. That is one of the reasons why Monark is now the world leader in cycle ergometers and the market leader in Scandinavia in transport cycles. 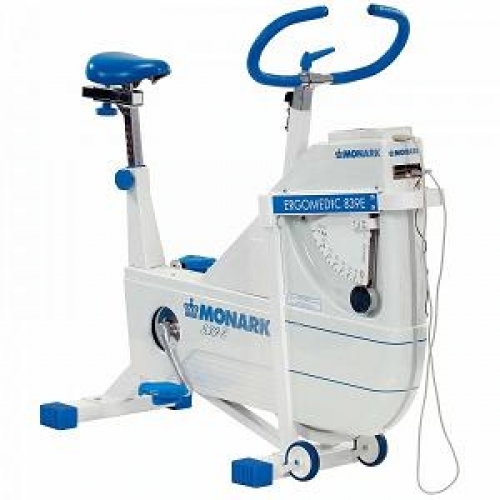 During the development of the anaerobic ergometer the focus was to create a safe bike that is easy to use, combined with an attractive design.The result is Monark 894E Anaerobic Test Ergometer Bike. A new bike however, still with the traditional characteristics of a Monark bike. A brand new frame with a softer design, but with improved performance regarding stability and rigidity. 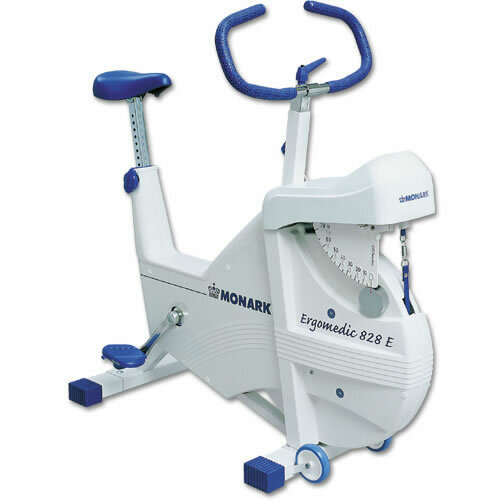 The Windows based software, with more setting possibilities and a clear presentation graphic, is easy to use.Thanks to double sensors, faster electronics and improved mechanics we minimize the possibility for problems during the work with anaerobic tests.The Peak Bike also works as a regular weight ergometer.Order your Monark 894E Anaerobic Test Ergometer Bike from FitnessZone.com today! The new Windows based software increases the setting possibilities for anearobic tests. The testime can vary in a range of 5 to 300 seconds, with 5 second intervalls. This means that the standardized Wingate test still can be perfomed. The analysis features is better in this new software. Both analyse of a singel test or individual- and group comparison is possible. 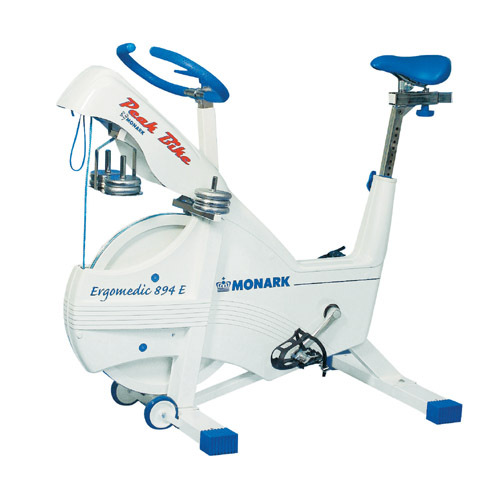 Anaerobic testing involves tremendous strain on the bicycle ergometer. 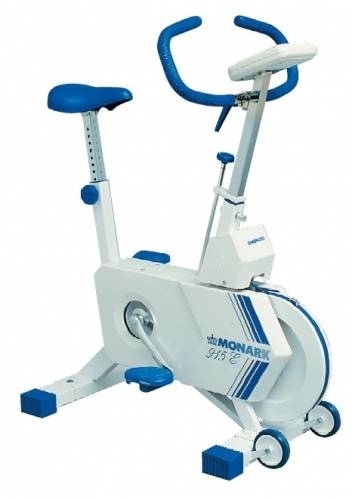 Monark 894E is designed to meet these demands. Extended support feet with predrilled holes so the bike can be bolted to the floor. 6 points of support guarantees a more stable position. Reinforcement between the support tube and the frame to increase the torsional rigidity. Finally we have kept a seat post with a through- bolt, not taking any risks. 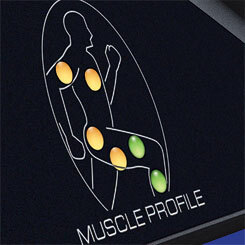 Products developed for active health improvement and rehabilitation. The distinguishing features of these products are their user-froendly design and construction for individuals and test administrators. Their modern look and functionality make these products ideal for all types of facilities. 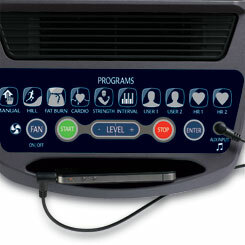 The healtcare product line facilitates health-awareness and fitness. Bikes completely adjusted for use with other systems for example ECG and Spirometri. Mainly they should be controlled by other systems and give information back. Because a lot of the users are elderly people, it is important that the monitors are easy to adjust and simple to use. Experts and demanding customers using Monark for tests, training and research in sports medicine are the core of Monark. Our products are developed to withstand extreme workloads with a real bike feel and reliable readings. To guarantee accurate readings during testing and research, it is crucial to be able to calibrate and control the ergometer. Monark Sports & Medical products meet and exceed these demands. If you're looking for the latest and greatest in Upright bikes, look no further. Besides the fact that lifefitness Uprights feels as great as they look, they offer you the ultimate in customization and comfort features. 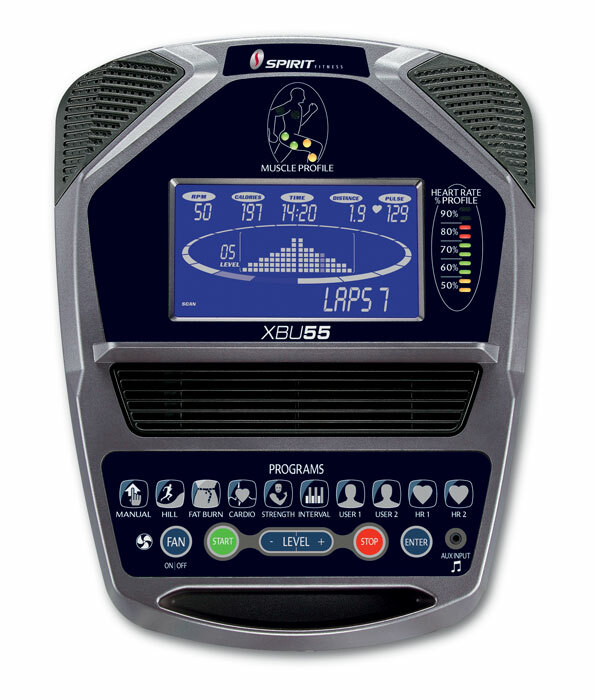 And the Workout Console provides an extremely easy-to-use interface with the essential workout programs you'll need to maintain an effective fitness regimen. The Life Fitness Platinum Club Series Upright Bike with Discover SE and SI Tablet Console will redefine the home workout experience. The integrated LCD touch-screen features an abundance of entertainment options, enhanced interaction, Internet connectivity and much more. Discover Tablet Consoles are club-quality technology, for the home. The New Elevation Series Upright Lifecycle Exercise Bike with Discover™ SE and SI Tablet Console is where your digital life meets your workout experience. 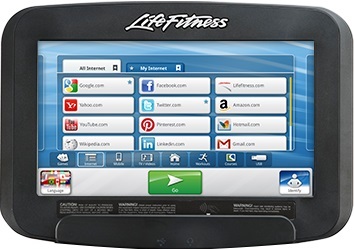 The third generation of touch screen consoles redefines the workout experience with the most advanced technology. Featuring an abundance of entertainment options, enhanced interaction, internet connectivity and much; this is fitness forward and the choices are yours. The Life Fitness Platinum Club Series Upright Cycle with 16" Discover SE Tablet Console will redefine the home workout experience. The integrated LCD touch-screen features an abundance of entertainment options, enhanced interaction, Internet connectivity and much more. Discover Tablet Consoles are club-quality technology, for the home. 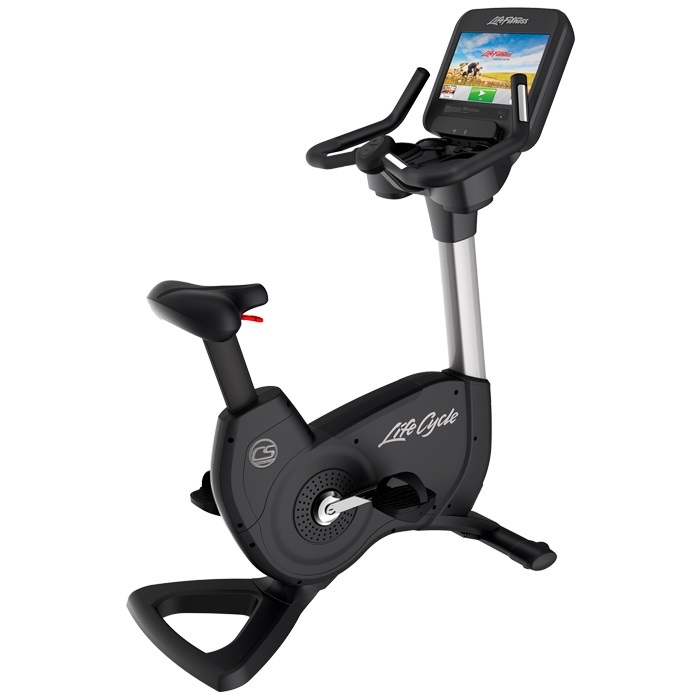 The Life Fitness Platinum Club Series Upright Cycle with 10" Discover SI Tablet Console will redefine the home workout experience. The integrated LCD touch-screen features an abundance of entertainment options, enhanced interaction, Internet connectivity and much more. Discover Tablet Consoles are club-quality technology, for the home. Welcome to the new definition of world traveler. 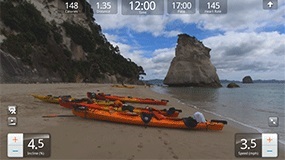 Run, hike or bike through Lifescape’s interactive outdoor courses. Tour California, France and Germany, to name a few dream destinations. 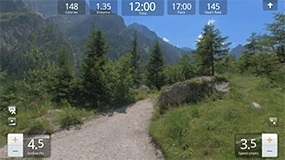 The machine’s incline and resistance change with the terrain as you trek through pristine nature and gorgeous scenery. 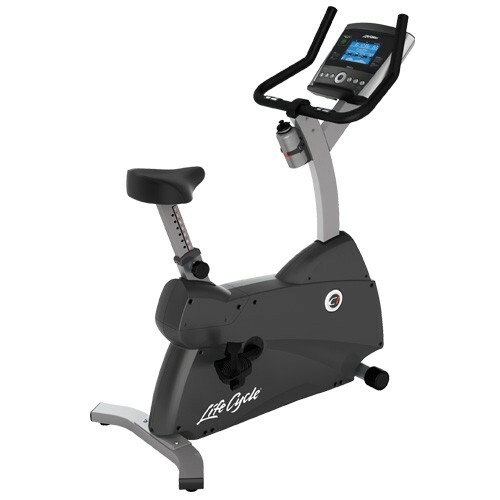 The Life Fitness Club Series Upright Lifecycle Exercise Bike is designed with the advanced engineering and durable components that exemplify Life Fitness' legacy of fitness expertise. Built for ease of use, riders of all sizes can adjust the bike seat in seconds to ensure an optimum workout. This bike offers a refreshed, non-intimidating console with more options for personalized entertainment, which helps exercisers complete more enjoyable workouts. The Life Fitness Platinum Series Upright Lifecycle Exercise Bike with Achieve Console will provide you an experience that will motivate you to keep working out. With the most advanced technology, intuitive, user-centered design and an array of entertainment and training options the Platinum Club Series Recumbent Lifecycle bike revolutionizes the home fitness experience. 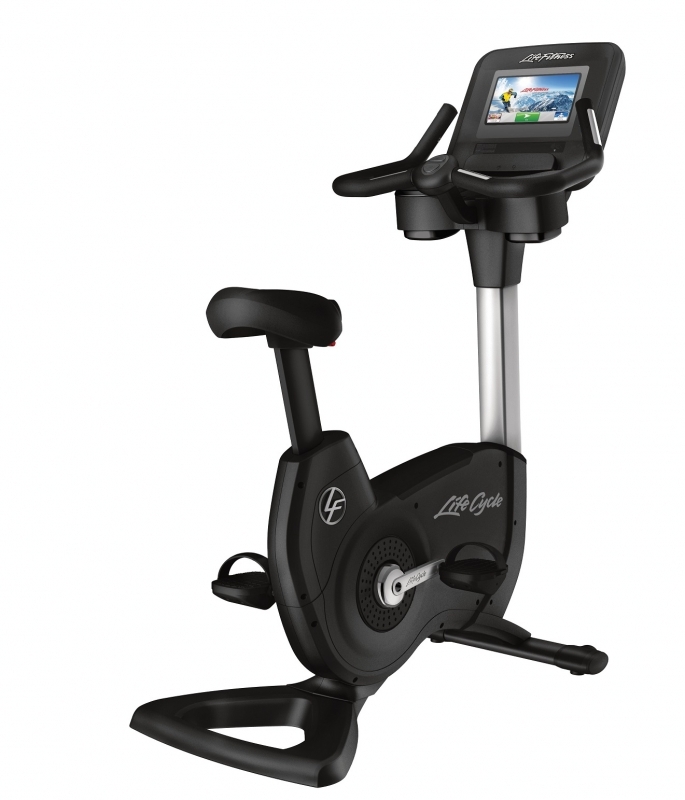 The new Comfort curve seat on the Life Fitness Platinum Series Upright Lifecycle Exercise Bike with Achieve Console was designed for maximum comfort and thigh clearance, easily adjustable pedal straps, and simple seat adjustment makes it easy to find the perfect seat height while on the bike. At-Your-Fingertips Resistance Controls are found on our most engaging club version lets you easily adjust your workout intensity throughout your exercise. 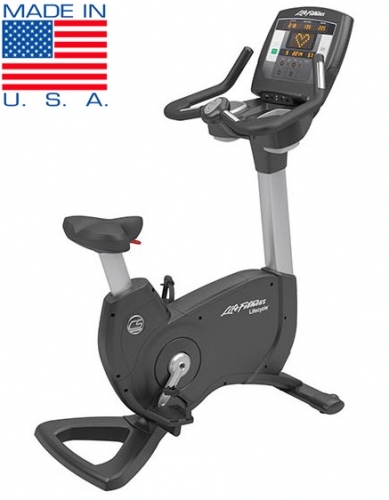 FitnessZone® is the premier fitness superstore on the Internet for upright bikes. 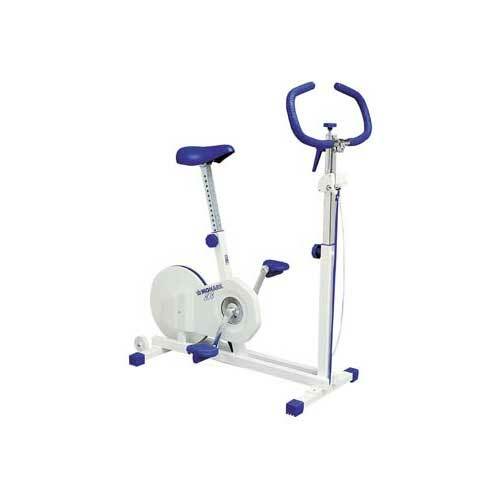 We carry a wide selection of top quality and reliable home upright bikes. The FitnessZone® superstore offers the largest selection of uprights for your home. Our upright bikes may have many different features like heart rate control monitoring, LCD TV built in, or custom programs. We offer such a huge selection of uprights at the best prices so you don’t have to waste time searching for a lower price. 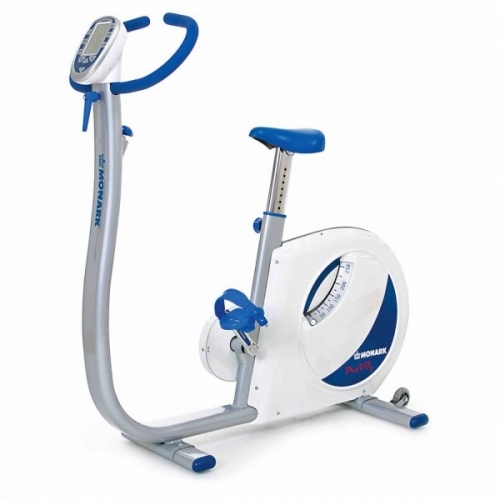 Click on product logo to view more Upright Bikes FitnessZone has to offer. Chat with one of our fitness advisors with any questions you may have about our Upright Bikes. 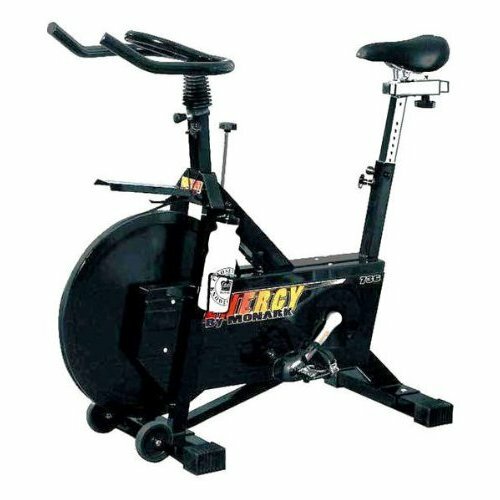 Order your Upright Bike from FitnessZone.com today! and get on the road to a great cardio workout. Everyone knows how to ride a bike, but not everyone knows how to build a commercial quality Upright bike that will provide a lifetime of cardio fitness! 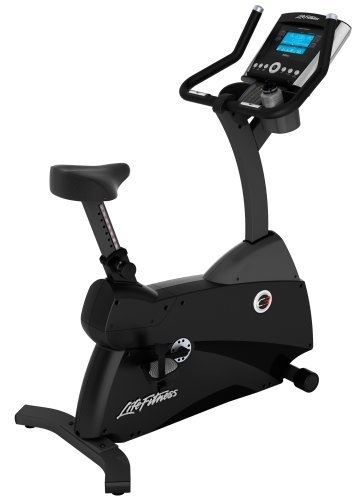 Check out the Endurance Upright Bikes at FitnessZone.com today! The Stamina Silent Magnetic Resistance Upright Bike gives you a full a cycling workout without dodging cars on the road! Dodging cars, getting chased by dogs, that's no fun. But Stamina's Silent Magnetic Resistance Upright Bike lets you work all the major muscles in your hips, thighs, and buttocks while you get a great cardiovascular workout all without facing the busy roads. And since cycling is one of the most effective low-impact aerobic exercises for increasing your metabolism, you'll burn calories and fat, get into shape fast. Jointec Optima Aqua Bike is the look at the future of mainstream conditioning. Adjustability, Customization, Variability and Personalizaton are a few words that describe the experience of using the Jointec Optima Pro Aqua Bike. Built for daily use, Jointec’s original Aqua Bike combines the benefits of using a stationary bike with the comforts of water exercise! The Aqua Bike can be adjusted to fit a variety of workout needs. The height of the Aqua Bike can be altered depending on the depth of the pool (suitable for use in 1.1-1.5m [3'8"-4'11"] of water) and the height of the user (best for people who are 1.5-2m [4'11"-6'7"] tall). The seat of the Aqua Bike can also be adjusted forward or backward to suit the user’s height. The Jointec Optima Pro Aqua Bike offers water exercise experience like no other. 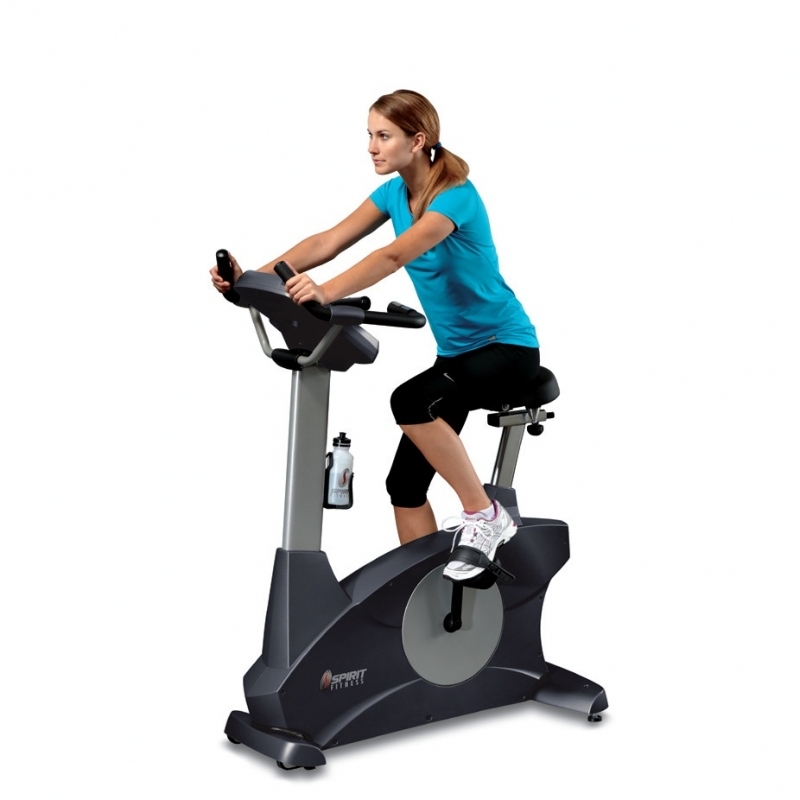 In the Fitness Industry, upright bikes have become a very useful part of person’s home fitness center. FitnessZone® will be able to custom fit you on an upright bike that will help you obtain your fitness goals while meeting your budget or space requirements. We carry such brands as: Endurance upright bikes, Cybex, Life Fitness upright bikes, FreeMotion upright bikes, Kettler upright bikes, Xterra upright bikes,, Monark upright bikes, Spirit upright bikes, Stamina upright bikes and many more. 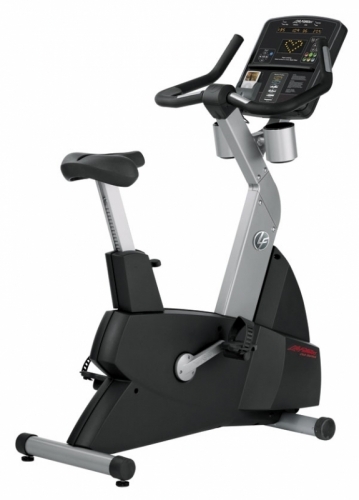 We also offer a full line of commercial upright bikes. We have service technicians on call 7 days a week throughout the World for our customer’s service needs. Order your upright bike today at FitnessZone®. Com and pedal yourself to better Health!